Oil vapors mix with the air/fuel mixture, which reduces octane and hurts performance. 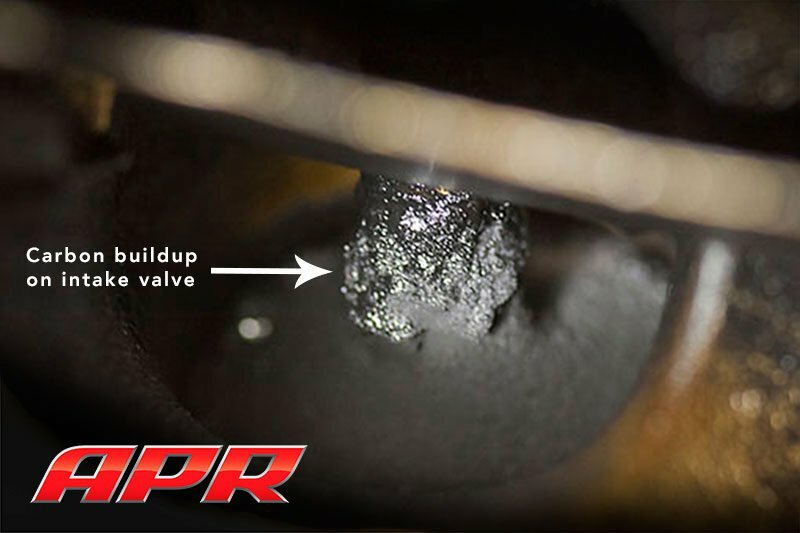 Carbon builds up on the back of intake valves, which reduces airflow and hurts performance. 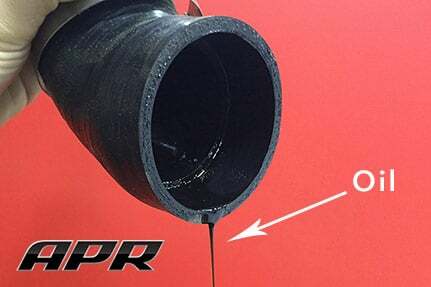 Messy oil pools in the intake tract and coats the intercooler, leading to hose degradation, and reduced IC effectiveness. Requirements: The APR Oil Catch Can system requires an APR Carbon Fiber Intake System for install.